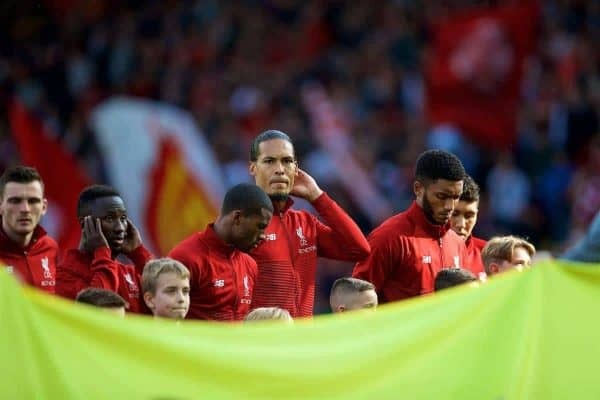 With Liverpool and Crystal Palace lining up this weekend, divergent stories will be told for a pair of the Reds’ centre-back giants past and present. 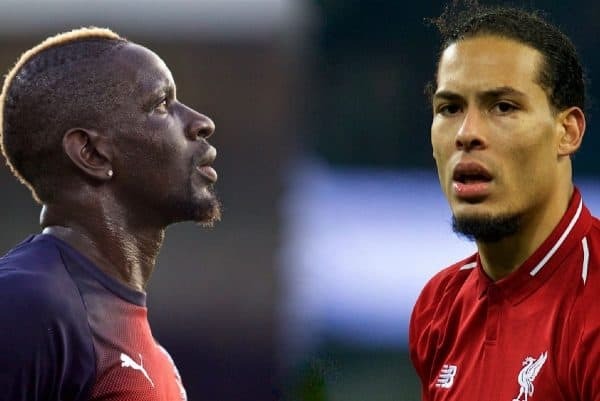 When Virgil van Dijk‘s name rings around Anfield on Saturday courtesy of a set of voices—and teeth—that the Pogues’ Shane MacGowan could only dream of having, I hope Crystal Palace defender Mamadou Sakho hears it. I hope it echoes in his ears, thrashes his eardrums like Animal thrashes a drum kit in The Muppet Show and makes him ponder. I hope it rattles around his head and makes him think ‘that could have been me’. Because it was meant to be, but he wasn’t up to the task. The Parisian defender was signed in the summer of 2013 from PSG to be Liverpool’s new colossus. Jamie Carragher’s retirement—to take up a Monday night Manc-minding role on Sky Sports—had left a void at the back and it was widely felt that the Reds required a strong, tall, powerful centre-half to solve the problem of being vulnerable to goals from set-pieces. 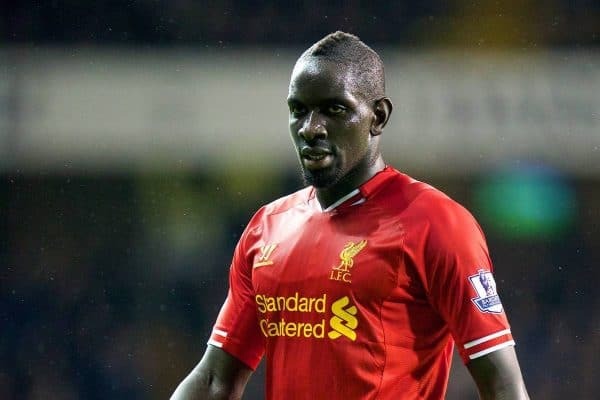 At a cost of £15 million, a chunky fee for a central defender six years ago, Liverpool’s much-maligned transfer committee decided that 23-year-old Sakho fitted the bill and signed him. He was bestowed on manager Brendan Rodgers, who had brought Kolo Toure in that summer on a free transfer as backup for his preferred partnership of Martin Skrtel and Daniel Agger. 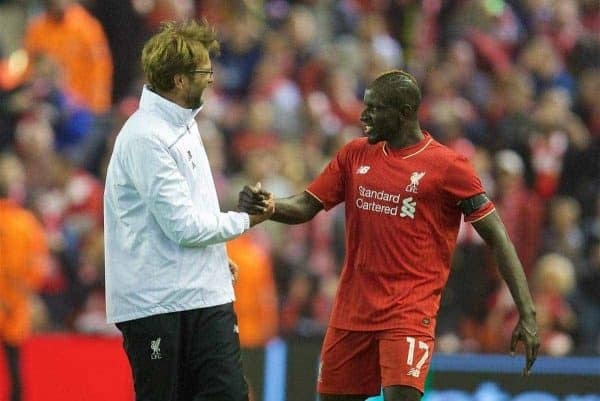 Whether Rodgers rated the Frenchman or not, Agger’s ongoing injury issues meant that Sakho got games and he started 17 of them in the Premier League in 2013/14 as Liverpool challenged for, but failed to win, the Premier League title due to a unique ability to leak goals at any given opportunity. Sakho had his fans on the Kop. He was an old-fashioned stopper, a defender not afraid to put in a crunching challenge and show a bit of Parisian passion. He’ll get a decent welcome for that—and the way he celebrated his Kop-end goals against Everton and Borussia Dortmund—but that shouldn’t paper over the reality that he wasn’t good enough for Liverpool FC. I’ve even got some stats to support it. In the 17 Premier League games Sakho started in 2013/14, Liverpool kept just one clean sheet: the 5-0 win at Spurs (when Jon Flanagan rose to the occasion, so to speak). The Reds conceded 27 goals in the other 16 games he started and lost five of them. To put that into context, the Redmen only lost one of the 21 games he didn’t play in, conceded fewer goals (23) and kept far more clean sheets (eight). Which leads me to conclude that Sakho was a fundamental part of Liverpool’s defensive issues that cost the Reds the title. Indeed, despite what the popular, bitter song says it was technically Sakho that gave the ball to Demba Ba rather than Steven Gerrard before his slip. Although I’m still of the opinion that Toure’s error in the 1-1 draw at West Brom, when he gave the ball to Victor Anichebe complete with gift-wrap a lovingly written card, was the goal that truly proved to be costly. Anyway, back to my point. No single player can be blamed for a defence that regularly ships goals or not winning a title and Sakho also made plenty of positive contributions that season, but we’re all now seeing from Van Dijk how big a difference a truly class centre-half can make. Yes, at 27 he’s older and more experienced than Sakho was and direct comparisons are unfair for various other reasons, but Van Dijk is the defensive leader that Liverpool lacked in 2013/14; the organiser, the dominant figure who owns all who tread near him in the penalty area and raises the level that his team-mates play at. Apologies for mentioning it, but think back to Crystanbul, the epically painful 3-3 draw at Selhurst Park when the Reds went 3-0 up only to capitulate at the back and concede three goals in 10 minutes, making life far easier for Man City on the final day of the season the following weekend. Sakho was at centre-half that night alongside Skrtel. Maybe I’ll be proved wrong when the pressure is on later in the season, but can you imagine a Liverpool side with Van Dijk at centre-half crumbling in such a manner in the space of 10 minutes? I can’t. And that’s just one of the many reasons why the name of our No. 4 will be echoing around Anfield this weekend instead of the ‘Sakho, Sakho’ shout that used to get an airing. Jurgen Klopp was questioned when he sold Sakho to Palace, but he isn’t stupid. He saw his defensive deficiencies (check out his positioning and flat-footedness for all three of Dortmund’s Anfield goals in 2015/16 on YouTube if you get a minute), factored in his unprofessional behaviour (taking a fat-burner without telling the club, getting sent home from a tour of the USA) and decided there was a better option out there. Chris McLoughlin writes for This Is Anfield each Friday; he’s also senior writer for the Official LFC Matchday Programme and LFC Magazine. You can order the Liverpool v Crystal Palace matchday programme here.